Secretary of Education Betsy DeVos, a champion of such horrendous ideas as cutting funds to public education and opening privatized charter schools, will pay a visit to the Granite State next Monday evening. DeVos is the guest of honor at a New Hampshire GOP fundraising dinner this Monday. Her visit comes on the heels of a desperate effort by New Hampshire Republicans to revive SB 193, the School Voucher bill which would have diverted money from public schools to private and religious institutions. 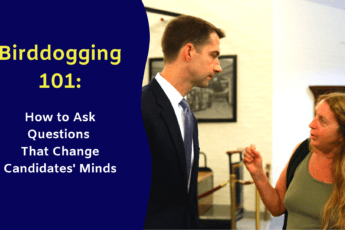 It’s no secret that school choice is a policy idea that DeVos has pushed aggressively in her short tenure with the Department of Education, and her visit once again cements the strong ties between the Trump and Sununu administrations. 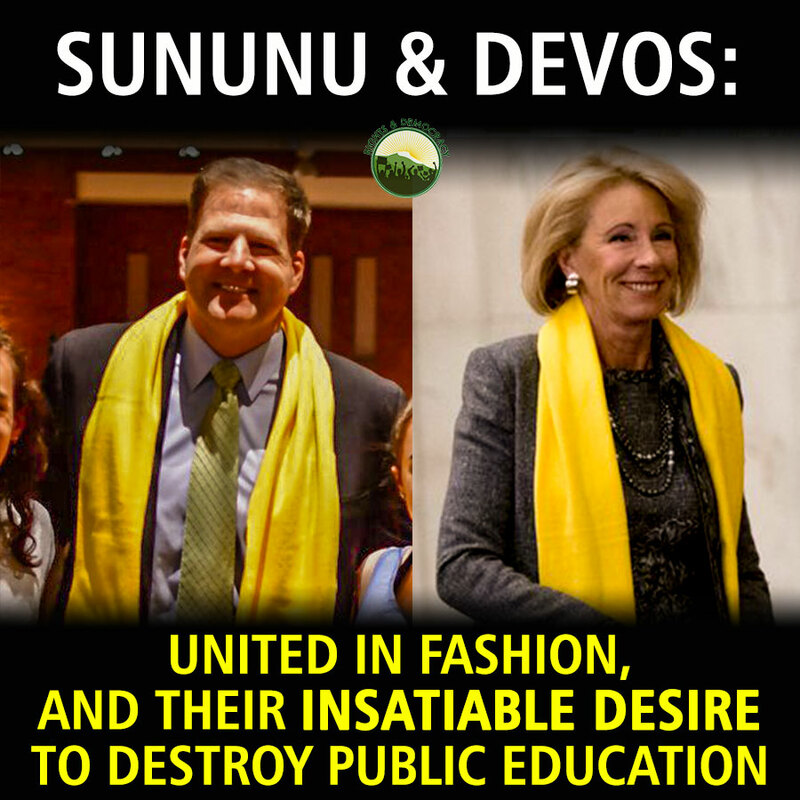 It’s up to us, the people of New Hampshire, to take a visible stand against the harmful education policieschampioned by Secretary DeVos and Governor Sununu. Please join us to protest DeVos’s visit from 4:30-6:00pm on Monday, May 14th outside the Atkinson Country Club in Atkinson, NH.